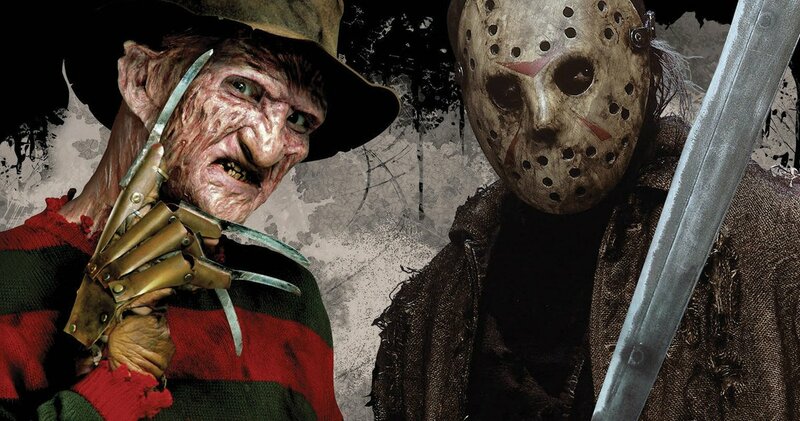 Long before any sort of justice had ever dawned, Freddy vs. Jason debuted in cinemas to what may be remembered as the first notable crossover between two major film franchises. Since then, we’ve received a couple Alien vs. Predator movies, the second of which performed so poorly that Fox split them back into their own separate entities, and to a much, much lesser extent, Lake Placid vs. Anaconda. Believe it or not, the road to getting the dream mashup made was treacherous indeed. With the first seeds having been planted in the closing moments of 1993’s Jason Goes to Hell: The Final Friday, you’d have thought we were off to the races. Alas, we we wrong. None of us could have foreseen that the Hell Jason had actually been sent off to was that of the developmental variety, but, technically, he did at least get to go to space in Jason X before visiting Elm Street, so that’s something, right? Anyways, after burning through script after script after script, New Line Cinema was finally ready to get it done, with the momentous motion picture slated to arrive in theatres in 2003. On a side note, it’s actually kind of sad that Kane Hodder didn’t get to reprise his role as Jason Voorhees after campaigning for this film to get made throughout the ’90s. Sure, Ken Kirzinger did a fine job himself, but my point remains valid. As for Freddy Krueger, Roberth Englund was the only actor to have portrayed him at the time, so he was naturally enlisted. Just recently, James A. Janisse from Dead Meat decided to put together a video tallying the kill count seen in Freddy vs. Jason. Not surprisingly, the lopsided favoritism shown toward Jason is evermore apparent, with him being credited with 19 kills to Freddy’s 2, with one going to the final girl. After checking out the video above, be sure to let us know in the comments section if you’re a fan of the movie we received or if you would have preferred something that showed equal respect for these two horror icons.